A few weeks ago, I talked one of my housemates into buying tickets for a concert on a Monday night. Normally I would consider this a bad idea — we both had work and class the next day — but in this case, the concert was too good to pass up. 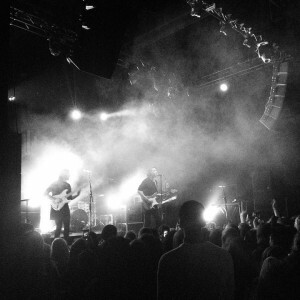 It was at a venue just four blocks from our apartment, tickets were only $15, and best of all, it was for one of my favorite new bands: Bad Suns, an alt-rock group from L.A. In my opinion, they have a sort of sun-kissed, West Coast sound that makes you think of palm trees and beaches. I had already seen them once on a beautiful summer day back in Seattle, and I nostalgically remembered the warm sunshine as I had lounged outside and listened to the music. This time in Philly was of course very different — snow was falling on our walk to the venue, and when we got inside, the space was dark and the music was loud. It was 8 pm on a Monday night, I had already had a long day of class and homework, and I knew I needed to get up at 7 am the next morning for a full day of work. I was tired, and I knew my housemate was, too. I also knew that there were two opening bands before Bad Suns, so it was going to be a long concert. So, although I had been looking forward to this concert for a few weeks, I was having trouble mustering much excitement. It didn’t take long for that to change. I always forget how much I love live music; as an introverted homebody, going to a concert usually sounds like a lot of work to me. But as my friend and I listened to one band after another, I forgot that I was tired and behind on my homework. I was mesmerized by the music, and we were close enough to the stage to be able to see all the bandmembers clearly. When Bad Suns finally came on, their enthusiasm was infectious. Before I knew it it was 11 pm and we had been standing for 3 hours straight. But as my friend and I left, I felt totally energized. I was so happy we had gone, despite our other responsibilities. I barely even felt the cold as we walked through the falling snow back to our apartment. Though I haven’t taken nearly enough advantage of all the nightlife available in Philly, I’ve quickly been reminded of how much I love being in the city. My roommate and I went to the Philadelphia Museum of Art last Wednesday for their “pay what you want” night. 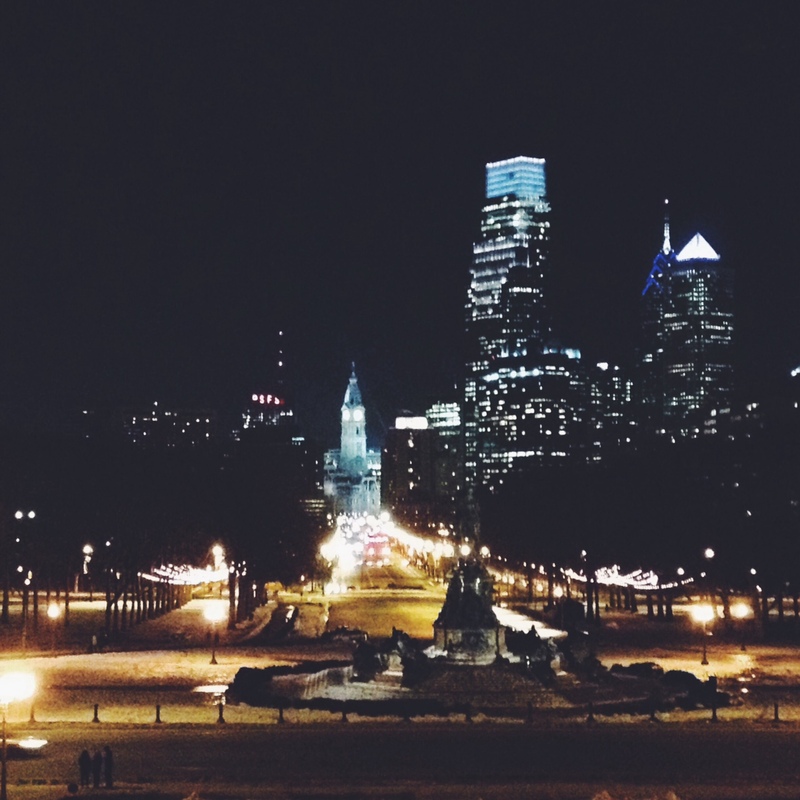 It had been another long day of work, but I quickly forgot that I was tired when we stood at the top of the museum steps and admired the view of Center City. We wandered through a few galleries, chatted with a friendly security guard named Gerard, and left around 7:30 pm, making a quick stop at Whole Foods on our way home. When we got back, I checked my pedometer app and was shocked to see that, between going to work and the museum, I had walked over 7 miles that day. I had been so distracted that I hadn’t even noticed. These experiences have made me realize how much more I want to see and do while I’m here. 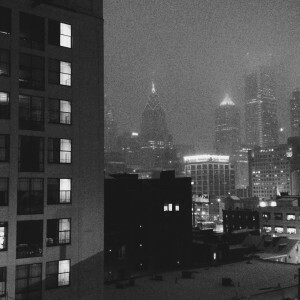 Between all the museums, music and arts venues, restaurants, and other nightlife Philly has to offer, I have to remind myself that there is no reason to stay in and watch Netflix every weekend (tempting as that may be). Maybe I’m just a city girl at heart, but I never get tired of the noises and lights, especially at night. Even now as I write this I am looking out from our loft at the brightly-lit skyline. Though Walla Walla has its own perks, this is something I can only get in the city, and I have to enjoy it while I have the chance. This entry was posted in Uncategorized on March 1, 2015 by Callan Carow. Nice! A city girl after my own heart. My special memories of all the concerts I’ve been to surface, when I hear that music again. Live Music is best!